Mark Durie, Author at Breaking Israel News | Latest News. Biblical Perspective. 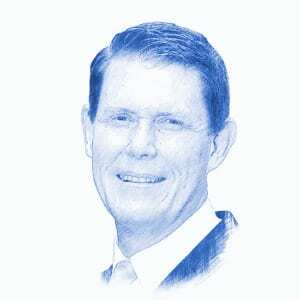 Dr Mark Durie is a theologian, human rights activist, Anglican pastor, a Shillman-Ginsburg Writing Fellow at the Middle East Forum, and Adjunct Research Fellow of the Centre for the Study of Islam and Other Faiths at Melbourne School of Theology. He has published many articles and books on the language and culture of the Acehnese, Christian-Muslim relations and religious freedom. A graduate of the Australian National University and the Australian College of Theology, he has held visiting appointments at the University of Leiden, MIT, UCLA and Stanford, and was elected a Fellow of the Australian Academy of the Humanities in 1992. The commonly held view that Ishmael was the father of the Arab nations is not supported by the Bible, nor by other historical evidence. The Saudis, the United Arab Emirates, and Egypt recently cut diplomatic ties with Qatar and imposed sanctions, accusing the Qataris of supporting terrorism. Yet the greater concern is a question for us all: Does the Islamic sharia permit non-Muslims to live alongside Muslims as equals in one world? No rogue maverick, Australian-born Alsuleiman is the elected national president of the Australian National Imams Council. It is a false step, in the name of love, to demand assent to the ‘same God’ thesis. President Obama, it is good that you have desired to speak up for persecuted Christians, but when you do so, please speak the truth. Days after the ISIS-inspired terrorist attack in San Bernardino, President Obama’s address to the nation concerning the threat of ISIS missed the mark. Jamie Walker asked two critical questions in a recent article which discussed the involvement of two Australian citizens. Last week the Islamic State’s ‘Hacking Division’ released the names and addresses of one hundred US military personnel. The Islamic State sent me a letter this week, in the form of a short film produced by ISIS’s Al-Hayat Media centre. A slogan of the Muslim Brotherhood is “Islam is the solution”. The past few weeks have been hard ones for Australians, not least for Australian Muslims. In northern Iraq religious genocide is reaching end-game stage.